If you do not see your question on this list, feel free to email info@iescaree.com for more information. Which type of evaluation report should I apply for? If I only need a General Report, do I need to send in a transcript of record? What if my transcript of record shows only subject and grade, but no credits nor hours of studies? What if I wish to have GPA done? What if I need the evaluation in a short time? How can I request for the additional evaluation set? How long after the first evaluation can I still request an additional official copy of report? Can I extend the expiration date of my file? Do you provide translation service? Can I translate the documents myself? Where can I find a translation service? Are original documents required for evaluation purposes? What if I disagree with the results of the evaluation report? What if my current name is not the same as the one listed on my documents? Can I come to the office to submit original documents? I don't want to mail them. Do I have to mail original documents? I have only one set and I am afraid it my be lost in the mail. How do you verify authenticity of documents submitted? Can I make the payment by Credit Card? 1. Which type of evaluation report should I apply for? General Report is a concise Statement of Equivalency, summarizing the applicant's educational background, with U.S. level of equivalency for each degree obtained, for high school and/or up to the highest degree the applicant requests to have evaluated. This type of evaluation is often used for employment and immigration purposes. For high school graduates, the General report is also used to confirm U.S. high school equivalency for admission to a community college. Note that GPA is not available be requested for this evaluation. Course-by-Course Analysis is a transcript-like evaluation report, listing courses studied in chronological order, with U.S. equivalency credits and grades for each course. A statement of U.S. high school or degree equivalency is NOT included. This type of evaluation report is mostly applicable for applicants who only completed a portion of a study program, and have not yet graduated. The purpose is for possible transfer of credits for continuing education. Note that GPA is available for this evaluation, but must be requested separately. Comprehensive Evaluation Report consists of both the General and Course-by-Course evaluations. It is mostly applicable for applicants who completed one or more post-secondary study programs and graduated with a diploma/degree. This type of evaluation is recommended for graduate admission consideration, employment, and professional Examination/Licensing purposes. This type of report is also recommended for high school graduates who would like to apply directly to a university. Note that GPA is available for this evaluation, but must be requested separately. 2. If I only need a General Report, do I need to send in a transcript of record? Yes! For all types of evaluation reports, including the General Report, both Transcript of Records and Diploma/Certificate of Graduation (if graduated) are required for all programs/degrees leading up to the highest program/degree that you wish to have evaluated. 3. What if my transcript of record shows only subject and grade, but no credits nor hours of studies? In few cases, when the school's transcript does not indicate the hours of study or the credits earned for each subject, the school syllabus is required. If a syllabus is not available, reconstruction work is needed in order to calculate appropriate U.S. credit equivalencies for the Course-by-Course or Comprehensive evaluation. The standard Reconstruction fee is $100 per program, but may vary depending on the complexity of each case. Download and print the Reconstruction by Synthesis Form. 4. What if I wish to have GPA done? Grade point average (GPA) is not routinely done unless specifically requested. The Course-by-Course or Comprehensive evaluation must be requested in order to have GPA done, as GPA is calculated from the U.S. equivalency of credits and grades from the Course-by-Course portion of evaluation. GPA cannot be requested with a General Report alone. The cost to calculate GPA is $20 per program/degree, in addition to the standard evaluation fee. 5. How long does it take for the evaluation? The evaluation process normally takes between two to four weeks, depending on the completeness of information and documents submitted, the type of the evaluation report, and the complexity of the documents. All evaluation requests are processed on first come first served basis. 6. What if I need the evaluation in a short time? Rush services are offered for one, two or five working days, for an additional fee of $195, $100 or $50 respectively. If you require a one-day rush service request, you must contact us by phone for prior approval before applying. Money order or cashier's check is required for the full amount of all rush service requests. Rush Service requests are accepted on a case-by-case basis, and will start only when all information, documents and fees are received by the Center. 7. How can I request for an additional sealed official evaluation? While your file is active, you can send us a completed and signed Second Official Evaluation Request Form, with a check or money order of $30 per official evaluation. Standard First Class mailing is included at no additional charge. Please note that First Class does not include any form of tracking and usually takes between 2 to 7 business days after your request is fulfilled, to reach it's destination. If you prefer to have the official evaluation sent directly to you or the institution by a different mailing method with tracking services, we offer Certified Mail , Priority Mail, 2-Day Express Mail or Overnight Express Mail for additional postage & handling of $10, $15, $35 and $45 respectively. Additional postage & handling should be added to the fee total and noted on the form. 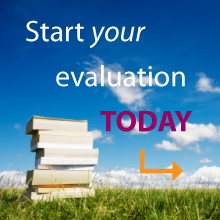 Please be sure to provide the reference number of your evaluation report (located on your Applicant’s Copy). If you do not have your reference number available, you may instead provide the country from where your study was from and the year the evaluation was completed. If you wish to have the additional official evaluation addressed to an institution, be sure to provide the institution's full name and address. The sealed official evaluation can be mailed to either you or to the institution specified. Please select on the form accordingly. The estimated time to fullfill routine requests is around 10 working days; however five (5) and two (2) working day rush services are available for additional fees, and can be marked on the form. If any change, customization or additional service is requested for an evaluation completed or updated prior, a revision fee of $30 will be charged (in addition to the cost of any additional service(s) requested). If you'd like to do everything electronically, you can send in the completed form by email to info@iescaree.com as an attachment and request a PayPal invoice (note there is a small additional transaction fee with this service). Please do not send any electronic payments outside of the PayPal invoice. Please note, if your Evaluation Report has expired and you have not extended your file, then you will need to reapply. A discounted fee will be considered for all applicants who reapply. Please email or call the Center for more details. 8. How long after the first evaluation can I still request an additional official copy of report? All evaluation files in good standing are kept active for three years from the date the evaluation is completed. The expiration date is indicated on a cover letter attached to the Applicant's Copy of the evaluation report sent to you upon the completion of your initial evaluation. Official evaluations can be requested and modified for additional costs, while your file is active. Expired files will be purged and destroyed, and you will need to reapply if an evaluation report is required. A discounted fee will be considered for all applicants who reapply. 9. Can I extend the expiration date of my file? The expiration date of your file can be extended for three more years if requested within 3 months before the expiration date. You will need to send the Center a new Application Form to update your file, along with the fee equivalent to 50% of the original evaluation fee. Note that the 50% discount applies only to the evaluation fee, and does not include fees for any additional services. 10. Do you provide translation service? At this time, no. The Center provides evaluation services of academic credentials from foreign countries to US academic standards only. 11. Can I translate the documents myself? No. English translation MUST be certified and done by an ATA (American Translators Association) Translator if translated in the United States. We will accept all ATA “Certified Member” certified translations (note that there is a difference between ATA “Member” and ATA “Certified Member”), and most ATA “Member” certified translations. In addition, we will accept most certified translations completed by an internationally recognized translation agency/institution from the country where the study was completed (eg. embassy, university, Department of Justice translators, etc.). However, unless the translation is completed by an ATA “Certified Member” Translator, we reserve the right to request the Applicant to obtain a new translation from a different source at any time. 12. Where can I find a translation service? To find an ATA Certified Member or ATA Member, we recommend looking at the organization's website to find a translator that suites your needs. All arrangements must be made directly with the translation service of your choice. 13. Are original documents required for evaluation purposes? Transcript of records and diploma/certificates are required for all programs/degress leading up to the highes program/degree that you request to have evaluated. We require original documents (sealed or unsealed), or official sealed documents mailed directly from the institution/university abroad. In some cases if original/official documents were previously submitted to a different accredited institution, we may accept certified true copies from the accredited institution if they are sent directly to the Center by the institution. 14. What if I disagree with the results of the evaluation report? If you disagree with the outcome of the evaluation report, or find a typing error, please email the Center to address your concerns within 30 days of your evaluation being completed. As indicated in the Terms and Conditions on the application form that you have read and signed, the Center does not guarantee that you will agree with the conclusion of the evaluation, but the Center will review your request and provide a response. After 30 days, questions will need to be addressed by requesting a paid consultation, or by providing fees for approved changes. 15. What if my current name is not the same as the one listed on my documents? If your name has changed, you will need to submit a legal proof of name change, such as your marriage certificate, court order, and/or other documents that show a legal change of name. Documents must be able to show exactly how and when your original name on your academic documents changed to your current name, such as a legal document containing both your prior name and current name on the same document. In addition, legal form of identification, such as a passport or drivers license displaying your current name may also be requested for. If proof of name change cannot be provided, the evaluation will be completed based on the name on the submitted original documents. 16. Can I come to the office to submit original documents? I don't want to mail them. The Center conducts business by mail only, and does not offer any walk-in services at this time. However, we understand the concerns of sending original documents by mail. It is recommended to send your original documents to us using a mailing method with tracking service and included insurance, such as Express Mail or Priority Mail if using the United States Postal Service (USPS). Since packages sent to us are not left unattended in a public area, we recommend waiving Signature Confirmation when mailing applications and documents to the Center since it may cause delays. However, you should choose a mailing method for your documents which is most comfortable to you. 17. Do I have to mail original documents? I have only one set and I am afraid it my be lost in the mail. Original documents are required for verification purposes. Both your transcript of records/marksheets AND diploma/certificate of graduation are required for each program/degree leading up to the program/degree that you request to have evaluated. It is recommended that all requested original documents be sent to the Center using a mailing method with tracking service, such as Express Mail or Priority Mail if using the United States Postal Service (USPS). To return your original documents to you, we require a minimum postage and handling fee of $15 to send your documents by Priority Mail with Signature Confirmation domestically within the U.S. upon the completion of your evaluation. Alternative mailing options can be found on our Fee Schedule. 18. How do you verify authenticity of documents submitted? Through reference materials, resources, networking contacts, professional memberships, and more than 38 years of service, the Center has numerous country specific samples of documents, and a precise list of criteria which are trademarks of authentic documents. All questionable original documents will be sent to the issuing institution or the country's Ministry of Education for verification. The direct verification time may take up to 6 months. Having your institution send official documents directly to us will speed up your evaluation process, and in some cases may be required. Please note that official documents addressed to the Center will remain property of the Center and will not be returned to the applicant. 19. Can I make the payment by Credit Card? Yes, in most cases. The Center offers the option to pay by credit card through PayPal, for an additional fee. If you would like to pay by credit card (or PayPal balance), we ask that you still fill out the Fee Schedule and send it along with your application packet, and write "Request for PayPal invoice" at the bottom of the Fee Schedule document. A PayPal invoice will be emailed to you upon reviewing of your application by an evaluator. DO NOT SEND ANY PAYPAL/CREDIT CARD PAYMENTS OUTSIDE OF AN INVOICE. PAYMENTS SEND OUTSIDE OF AN INVOICE WILL NOT BE APPLIED TO YOUR EVALUATION/FILE, AND MAY INCUR ADDITIONAL FEES. Make sure that the email address area is filled out on the Application Form so that we can send the PayPal invoice to you. If the email address for the PayPal invoice is different than your email address on the Application Form, please clearly indicate so in a separate note. IMPORTANT NOTE: An additional fee will be added to each PayPal/Credit Card invoice request. To avoid invoice fees, you can send a money order, cashier's check or personal check payable through a U.S. bank by mail. Applicants with rush service requests should pay by money order or cashier's check only.